The sun is shining! Maybe you are just like me, and at the first sight of a sunbeam it means cold drinks and something good to read in the garden. Last night it was a glass of elderflower cordial and Jonathan Unleashed by Meg Rosoff that I am currently reading for my book group. If you need a few suggestions here are some new fiction titles that have arrived in our libraries this week. There should be something there to tickly your fancy – maybe you need to match your book to your garden tipple? The CFO of a secretive NYC hedge fund is found murdered – stabbed through the eye with an expensive fountain pen. Sherlock Holmes and Joan Watson discover a link between the victim and a charismatic touring management guru with a doubtful past. But is the solution so clear-cut or is the guru being framed? As secrets are revealed and another victim is found murdered in the same grisly fashion, Holmes and Watson begin to uncover a murky world of money and deceit. Paris, 1792: Henrietta – an Englishwoman alone amidst the French Revolution. Grace – former mistress to the highest rulers in France. Agnes – the current mistress, who will stop at nothing to keep her place in the palace. Together, the three women will engage in a deadly triangle of rivalry and power play. Who will win, who will lose and who will keep their head? Calcutta, the 1940s. In a ramshackle house, streets away from the grand colonial mansions of the British, live Maisy, her Mam and their ayah, Pushpa. Whiskey-fuelled and poverty-stricken, Mam entertains officers in the night – a disgrace to British India. All hopes are on beautiful Maisy to restore their good fortune. But Maisy’s more at home in the city’s forbidden alleyways, eating bazaar food and speaking Bengali with Pushpa, than dancing in glittering ballrooms with potential husbands. Then one day Maisy’s tutor falls ill and his son stands in. Poetic, handsome and ambitious for an independent India, Sunil Banerjee promises Maisy the world. So begins a love affair that will cast her future, for better and for worse. Colleague, co-worker, killer – you see the people you work with every day. But what can’t you see? Who secretly hates you? Who is tortured by their past? Who is capable of murder? Beautiful, intelligent, fresh out of prison – Madeleine Ellershaw is Matt Helm’s latest case. She may have been imprisoned as a spy, but Helm soon realizes that Madeleine’s story isn’t so simple. He’s got to figure out why she took the rap for her husband nine years ago, what secrets are hiding in her past, and, most difficult of all: keep her alive. After 34 years at St Oswald’s Grammar in North Yorkshire, Latin master Roy Straitley has seen all kinds of boys come and go. Each class has its clowns, its rebels, its underdogs, its ‘Brodie’ boys who, whilst of course he doesn’t have favourites, hold a special place in an old teacher’s heart. But every so often there’s a boy who doesn’t fit the mould. A troublemaker. A boy with hidden shadows inside. With insolvency and academic failure looming, a new broom has arrived at the venerable school, bringing PowerPoint, sharp suits and even sixth form girls to the dusty corridors. But while Straitley does his sardonic best to resist this march to the future, a shadow from his past is stirring. A boy who even 20 years on haunts his teacher’s dreams. A boy capable of bad things. A sailor hangs himself on board a naval submarine. Although ruled a suicide Lieutenant Danielle Lewis, the Navy’s finest Special Branch investigator, knows the sailor’s wife was found brutally murdered only days before. Now Dan must enter the cramped confines of HMS Tenacity to interrogate the tight-knit, male crew and determine if there’s a link. Standing alone in the face of extreme hostility and with a possible killer on board, Dan soon realises that she may have to choose between the truth and her own survival. The pressure is rising and Dan’s time is running out! The Hundred Year’s War is over and newly-knighted Sir John Hawkswood is headed for France to make his fortune as a freebooter. Violence and extortion are rife, and the freebooters will stop at nothing to capture the Papal City of Avignon. But this is only the beginning: Italy beckons, and with it, yet more battles against rival mercenaries, powerful cities and the Papal State. Lois and Carly-May were just twelve when they were abducted by a stranger and imprisoned in a cabin in the woods for two months. That summer, under the watchful gaze of their kidnapper, they formed a bond that would never be broken. Decades later, both women have new lives and identities. But the events of that summer are about to come back with a vengeance. 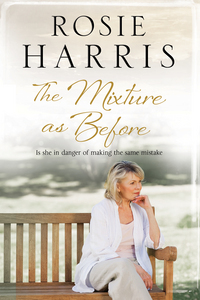 Lois and Carly-May must face the truth about their secret, shared past. What really happened in the woods that summer? Aged 105, Rose has endured more than her fair share of hardships – the Armenian genocide, the Nazi regime, and the delirium of Maoism. Yet somehow, despite all the suffering, Rose never loses her joie de vivre. Quirky and eccentric, ‘Himmler’s Cook’ is a hilarious picaresque tale of survival, as Giesbert depicts Rose’s unique life experiences – cook for Himmler, confidante to Hitler, and friend of Simone de Beauvoir. The novel tells the epic tale of an inspiring, resilient Marseillaise chef who embodies the sentiment of what doesn’t kill you only makes you stronger. Start planning your summer reads. Lots of new fiction arrives in our branches every week. Here are a few of this weeks additions. Lola Grant is the hottest pop star in Britain and she’s about to go global. But behind the music, her addiction to bad boys is taking her personal life in a dangerous direction. When it comes to men, Lola just can’t stay away from trouble – and her self-control is pushed to the limit when she meets her handsome new drummer Jake Hunter. Looking out for Lola is her best friend and manager Harvey Sparks. But Harvey’s fighting his own demons and can only watch from the sidelines as the star he helped create begins to fall. When Lola seeks comfort in a life of wild partying, she meets good-hearted showbiz reporter Freddy Jones, a man who may just be able to offer her a way out. 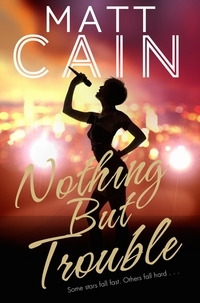 But as she starts rehearsals for her Trouble tour, Lola finds herself faced with a new threat, one much bigger than anything she’s ever experienced. 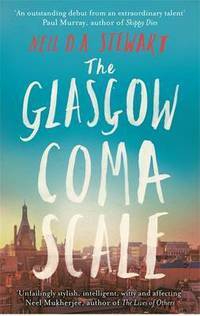 Newly widowed after a forty-year marriage, Margaret Wright is finding it hard to adjust to independence, having been stifled for so long by her overbearing, controlling husband. Is she up to the challenge? August 1940 and 16-year-old refugee Addie escapes Fascist Italy to live with her aunt and uncle in Atlantic City. As WW2 breaks, she finds acceptance and love with Charlie Connally and his family. But war changes everything: secrets and passions abound, and when one brother’s destructive choices lead to the tragic death of another, the Connally family is decimated, and Addie along with them. 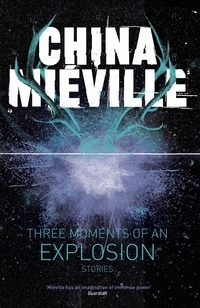 Now 18, she flees, first to Washington and then to war-torn London where she is swept up with life as a correspondent. 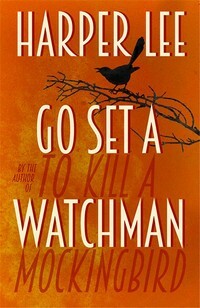 But when Charlie, now a paratrooper, re-appears, Addie discovers that the past is impossible to outrun. Now she must make one last desperate attempt to find within herself the answers that will lead the way home. In these stories, glistening icebergs float above urban horizons; a burning stag runs wild through the city; the ruins of industry emerge unsteadily from the sea; and the abandoned generations in a decayed space-elevator look not up at the stars but down at the Earth. Ranging from portraits of childhood to chilling ghost stories, from dystopian visions to poignant evocations of uncanny love, with beautiful prose and melancholy wit, this collection poses searching questions of what it is to be human in an unquiet world. 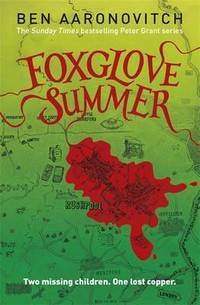 Ben Aaronovitch takes Peter Grant out of whatever comfort zone he might have found and takes him out of London – to a small village in Herefordshire where the local police are reluctant to admit that there might be a supernatural element to the disappearance of some local children. But while you can take the London copper out of London you can’t take the London out of the copper. Travelling west with Beverley Brook, Peter soon finds himself caught up in a deep mystery and having to tackle local cops and local gods. 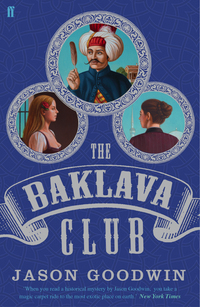 In 19th-century Istanbul, a Polish prince has been kidnapped. His assassination has been bungled and his captors have taken him to an unused farmhouse. Little do they realise that their revolutionary cell has been penetrated by their enemies, who use the code name La Piuma (the Feather). Yashim is convinced that the prince is alive. But he has no idea where, or who La Piuma is – and has become dangerously distracted by falling in love. As he draws closer to the prince’s whereabouts and to the true identity of La Piuma, Yashim finds himself in the most treacherous situation of his career: can he rescue the prince along with his romantic dreams? Follow the links on the book titles to find the books in our catalogue. ‘Silken Bonds’, ‘Love Match’ and ‘The First Rebellion’ by M. C. Beaton, ‘The Bootlegger’ by Clive Cussler and ‘By its Cover’ by Donna Leon, to name but a few. ‘Something coming through’ is scifi by Paul J McAuley The Jackaroo have given humanity 15 worlds and the means to reach them. They’re a chance to start over, but they’re also littered with ruins and artifacts left by the Jackaroo’s previous clients. ‘The Museum of Extraordinary Things’ by Alice Hoffman, Alice is set in New York City, 1911. Meet Coralie Sardie, circus girl, web-fingered mermaid, shy only daughter of Professor Sardie and raised in the bizarre surroundings of his Museum of Extraordinary Things. And meet Eddie Cohen, a handsome young immigrant who has run away from his painful past and his Orthodox family to become a photographer, documenting life on the teeming city streets. One night by the freezing waters of the Hudson River, Coralie stumbles across Eddie, who has become enmeshed in the case of a missing girl, and the fates of these two hopeful outcasts collide as they search for truth, beauty, love and freedom in tumultuous times. 545 copies of new fiction are on their way to libraries this week! Take a look at the list. Feeling summery and want a light read? Jenny Colgan – ‘Summer at Little Beach Street Bakery’ and ‘A Summer Promise’ by Sunday Times bestselling author, Katie Flynn, might fit the bill, as might ‘Wild Wood’ by Posie Graeme-Evans about a young archaeologist who unearths ancient secrets, a tragic romance, and Viking treasure on a remote Scottish island. ‘The Testament’ is a new thriller by Eric Lustbader, author of the Jason Bourne series . Dr Who fans ‘Time Trips’ is a collection of short stories featuring Doctor Who, authors include Jake Arnott, Cecelia Ahern and Joanne Harris. Scifi/fantasy fans – how about ‘A Darker Shade of Magic’ by Victoria Schwab. 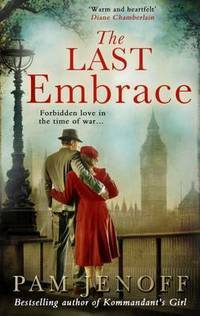 Bestseller ‘The Dandelion Years’ by Erica James – a story of wartime love or for something a bit harder edged, try ‘Too Close to Home’ by Susan Lewis, another Sunday Times bestseller about a family making a fresh start in Wales but it unravelling into a nightmare. ‘The Girl in the Red Coat’ by Kate Hamer has been acclaimed – again it’s the story of a child’s disappearance. Still for crime fans there’s ‘Terminal City’ by Linda Fairstein, New York Times bestselling author who delivers another breakneck thriller that captures the essence of New York City – its glamour, possibilities and endless capacity for darkness and Veronica Heley’s ‘Murder in Time’ about complicated relationships –it’s the fifteenth dark and sinister Ellie Quicke mystery. If you like some history dished up with your murder mystery try C J Samsom-ish ‘The Invention of Fire’ by Bruce Holsinger set in London, 1386. Young King Richard II faces the double threat of a French invasion and growing unrest amongst his barons – and now there’s evil afoot in the City. Sixteen corpses have been discovered in a sewer….. Historical crime novel of the year ‘The Silent Boy’ by Andrew Taylor is out in paperback. Paris, 1792. A mute boy has witnessed horrors beyond his years, but what terrible secret haunts him so deeply that he is unable to utter a word? ‘Winter Pilgrims’ by Toby Clements is set in February, 1460 – a young nun is caught outside her priory walls by a corrupt knight, rescued by a young monk with far reaching consequences.